Round Three. 9th July 2016. 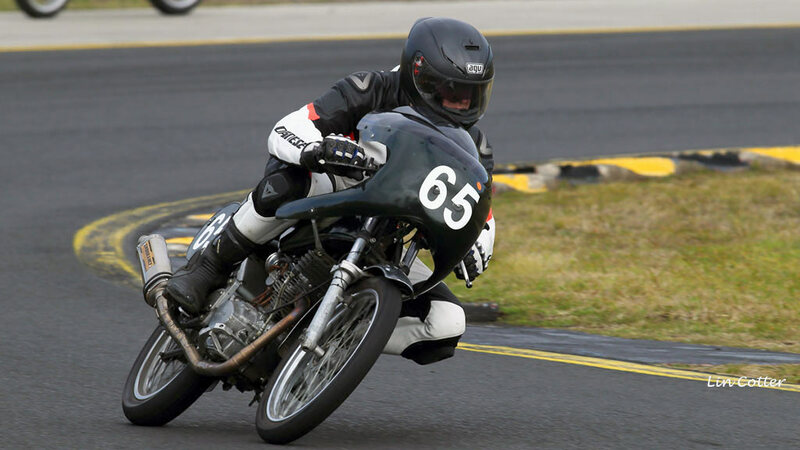 Round three held on the North circuit at Sydney Motorsport Park. 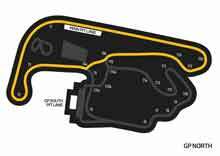 Round three was run on the shorter North circuit the one with the flip flop where it cuts away from the GP circuit. Race day weather looked a bit shaky early in the morning but by the time racing commenced it was on a rapidly drying track. 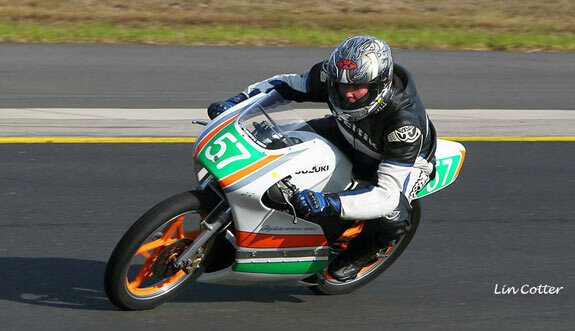 #60 Jason Dunn Honda RS85cr won all three races putting himself back in the lead of the Motolite Championship. 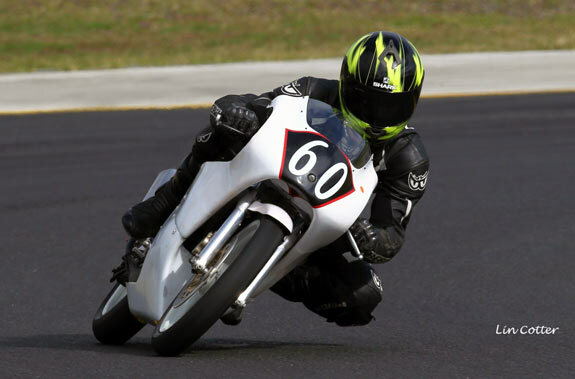 #60 Jason Dunn Honda RS85cr was in devastating form winning all three races his task made easier by the demise of #888 Jack Robinson (Honda RS150CRF) in race two. Jack came a cropper on the flip flop and was out for the day his championship lead gone by days end. #77 Christopher Jones was back in form to finish second overall. It was left to #94 John Olip (Moriwaki 85) to keep the Mori flag flying having some great dices with #29 Harrison Wells (Moriwaki 85) and #17 Adam Cameron (CBR150) Also getting a look in #64 Lindsay Russell Honda XL185. 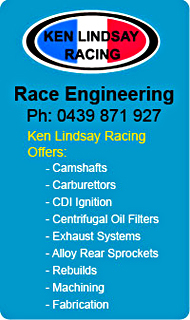 Lindsay missed race three but still finished fifth overall. #170 Michael Child had a day he would rather forget only managing three laps in race one. Mechanical gremlins had arrived and stayed for the day. 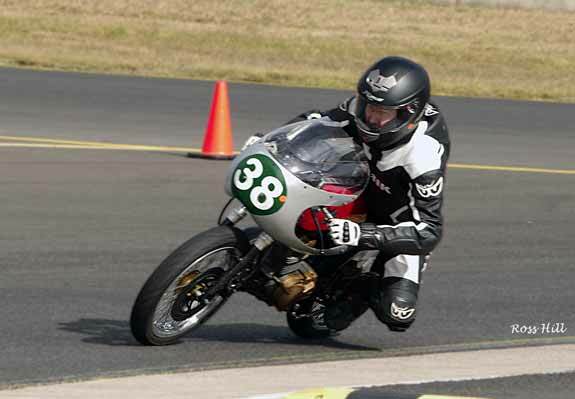 Above: Junior Murphy (BBR Honda CB150) had a third and two wins to win overall on the day. #65 Tim Smith Superlite PRO championship leader. #2 Ken Lindsay moves up to 2nd place. The 2015 champion #169 Ian Gregory (Honda CB150) won race one with #8 Kurt Wagus second and #38 Junior Murphy third. Unfortunately race two proved a disaster for both Ian and Kurt as a collision with a Commuterlite brought them both down bringing a premature end to their their days racing. The hard charging #57 Stuart Ellis Suzuki 150 . Number 57 Stuart Ellis Suzuki 150 won races one and two but blotted his copy book by low siding at the hairpin (turn 2) and wasn't able to restart. #666 Brett Perrington Kawasaki 100 failed to score any points. Darrell Francis where were you? 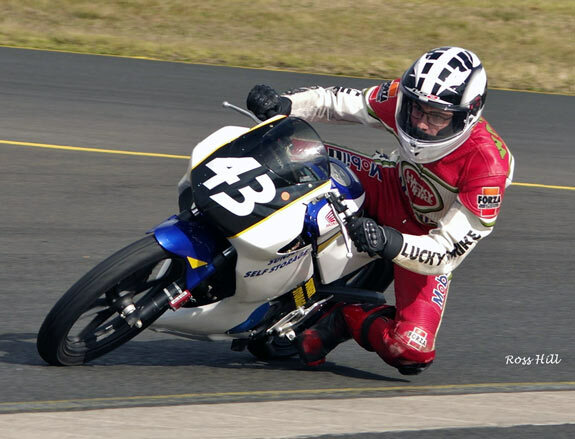 #43 Keo Watson (Honda CB150) won all three races at the super fast North circuit in the Commuterlite PRO class. 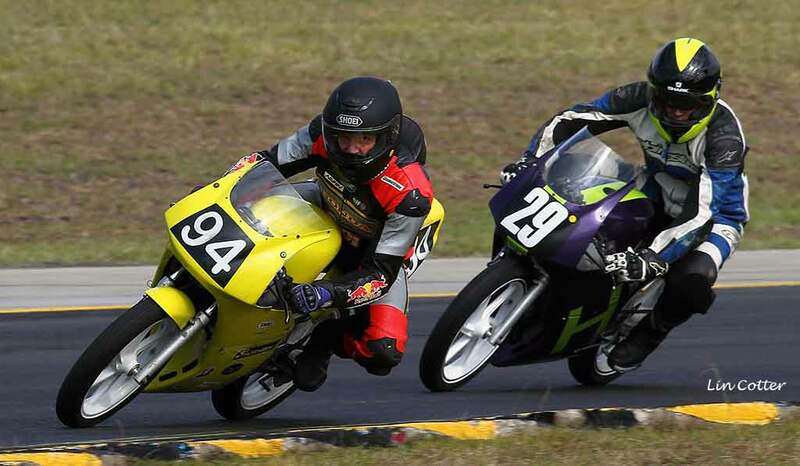 Once again it was the Watson boys #43 Keo Watson (Honda CB150) and #39 Ken Watson Honda CBR125 setting the pace out front with last years Champion #555 Nicholas Miller keeping them honest finishing second and splitting them in the final race. #3 Peter Lindsay finished fourth overall followed home by #4 Martin Kraaymaat (Yamaha YFZR125) and #93 Robert Young (KTM125). Number 149 Jack Vignes in only his second Commuterlite race scored his maiden win overall with two wins and a fourth. Sensation of the Commuterlite AM races #149 Jack Vignes in only his second road race won overall after some thrilling battles with #19 Jan Martizano, #66 Andy Lewer and Championship leader #81 Luke Rhodes finishing in that order. 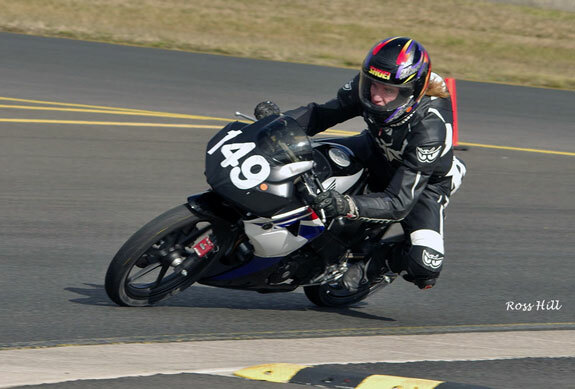 Next came #12 Jessica Dykes (5th) followed by newbie #49 Gregory Burt, #73 Daniel Florence and #84 James Wain. Newcomers #128 Scoobie Breen and #54 Raymond Wright settled in fine to this class of racing to finish 9th and 11th respectively. #7 Brodie Frewin had a DNF pushing him down to 10th with #78 Mark O'Toole also striking trouble only finishing one race. 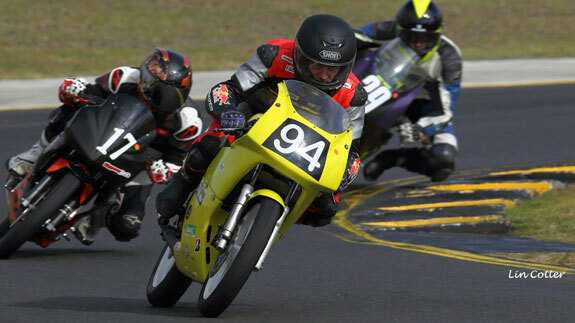 #94 John Olip (Moriwaki 85) #17 Adam Cameron (Honda CBR150) and #29 (Moriwaki 85) all Motolites in close company.